Plastic isn’t the new fantastic! Brussels plans to ban single-use plastics, including cutlery, plates, cotton swabs, expanded polystyrene food containers and single-use straws, by 2021. But luckily there are already alternative solutions for these singe-used plastics. The new rules mark the increasingly ambitious efforts of the EU. By using single-use plastics as part of your business model, your company may be perceived as ignorant or apathetic to global issues. It might not save the world if you’re switching to alternatives, but the use of single-use plastics sends a direct and concrete message to customers. For customers, it’s clear that for the brand and its management the global warming and saving of the planet isn’t a top issue. Because of the growing awareness of the plastic problem, more companies have taken action to reduce their plastic footprints. It’s no longer “okay” to throw trash away due to laziness or due to a financial position. Because single-use material will be around long after our own lives and the lives of our grandchildren. This litter negatively impacts ecosystems, biodiversity and even human health. “When we have a situation where one year you can bring your fish home in a plastic bag, and the next year you are bringing that bag home in a fish, we have to work hard and work fast,” said Karmenu Vella, EU commissioner for environment, maritime affairs and fisheries. 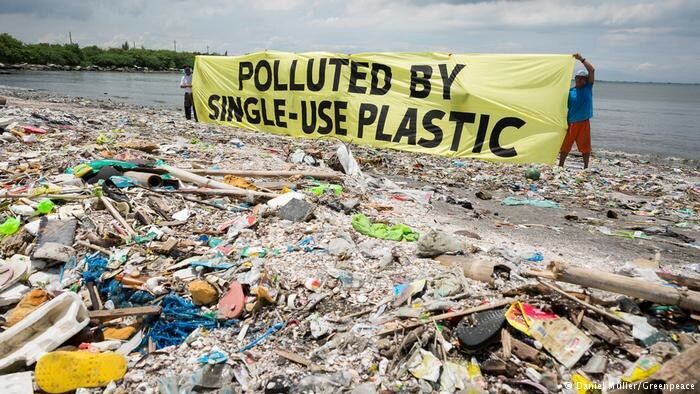 In record time, the European Parliament and the Council were able to agree on legislation to this new ban of single-use plastics. This measure is part of the Climate Plan that was voted by the Brussels city council on 24 September 2018. The Climate plan is intended to achieve the European energy and climate goals by 2030. Consequences if you don’t respect it? The city of Brussels will impose fines and administrative sanctions to companies who don’t respect the regulation. However, the agreement falls short in order to fully tackle the plastics crisis. The proposal asks the EU countries to collect 90% of single-use plastic bottles of beverages by 2025. A delay of four years! Cut out disposables: propose shopping bags to your customer for their shopping (i.e. a tote bag) and chose reusable items when possible: reusable bottles, straws, food, bamboo cutlery, containers and lunchboxes. Check out 10 ways to adopt a zero-waste lifestyle. Drink the coffee, keep the cup: 16 billion takeaway cups are thrown away each year in Europe. Encourage your customers to bring their own cups or to buy your reusable cups. Recycle: recycle your plastics if you really need to use it. Each piece of plastic recycled is one less piece of waste that could end up in our oceans. Clean up your city: a lot of organizations host clean-up days. You can volunteer with your colleagues to pick up trash at your local beach or lake or even in your city. You can also do it on your own initiative. A few hours of your time can make a big difference. When you go for a run, don’t hesitate to take a bag with you and clean up. A little bit more exercise because you will have to stoop but great for your health and great for nature. Switch to environmentally friendly product: recycled pencils, paper, objects. Nowadays you can pretty much recycle anything. 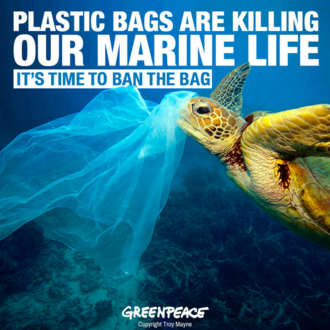 Act now and be the first one in your market to ban single-used plastics. The initiative encourages the development of other packaging options. You are now warned! The impact of plastic on the environment is disastrous. It’s only a matter of time before your competitors will start using alternatives to plastic. Need inspiration? Don’t forget to take a look at our article on alternatives for packaging, click here!